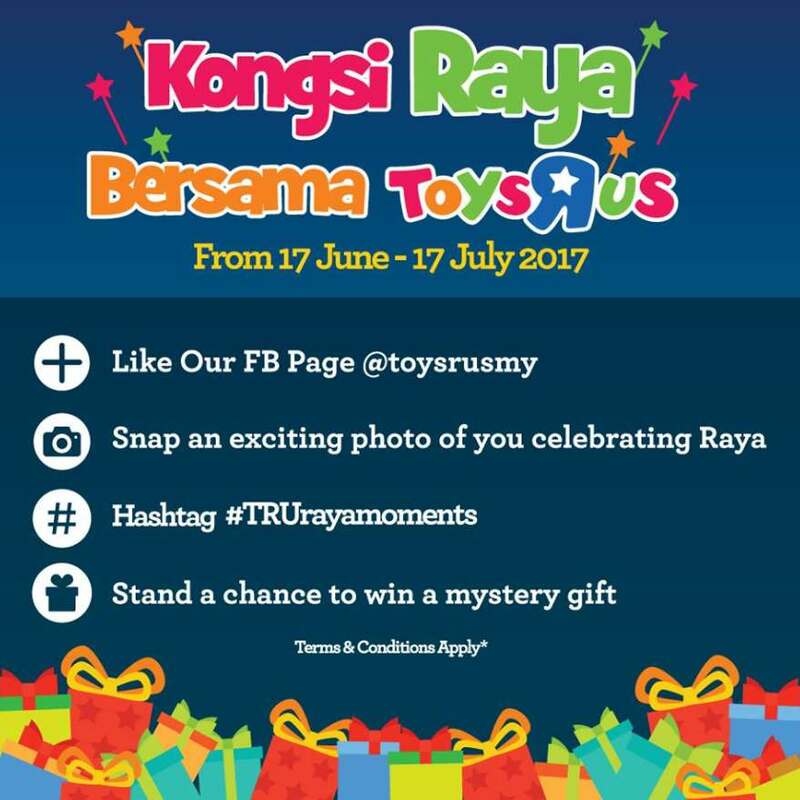 From 17 June until 17 July 2017, show us on how you’d celebrate Raya this year and stance a chance to WIN a MYSTERY GIFT! No purchases required to participate! Join us by simply following these steps! – Judges decision is final and no appeal will be entertained. – Any photo with an impolite or offensive message will not be accepted for this contest. – Toys R Us reserves the right for the final decision if any dispute. Find out more at Toys”R”Us.